There is a reason that certain people get more engagement, more followers, and are more successful on Google+ than others. A lot of it has to do with they way they craft their posts. 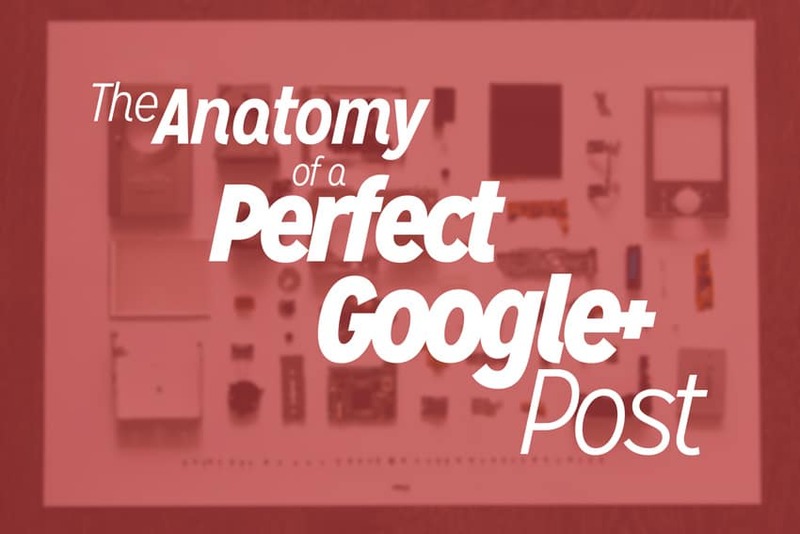 In this post I’ll go over the anatomy of a perfectly crafted Google+ post. Seven components that, if executed properly can make your post look like they were written by a pro. Let’s face it– the internet is plenty full of garbage. There’s more than enough bad content littering the digital space than we could possibly consume in a lifetime. If you want to make your ideas and creativity stand out you must take the time to do things with excellence. On Google+, the audience there is highly engaged and they have a low tolerance for spam. So don’t expect to phone it in or put your Google+ activity on autopilot and get a good response. But when you take the time to put a little craftsmanship into your posts, it really pays off. So here’s a few tips to make sure your posts stand out and get the proper attention they deserve. Start with a title, just like it were a blog post. If you’re posting a link to a blog post, just make it the title of that blog post. If you’re only making a casual Google+ post, give it a title anyways to give people a taste of what to expect. Be sure to also use an asterisk (the * symbol) at the beginning and end of your title. Google+ will then make everything between the first and second asterisk bold. That’s how you get the bold title effect. If you have a tagline, or maybe a second part to the headline, it adds a bit of extra flair to use underscores (the _ symbol) at the beginning and end of the sentence which will make the line italicized. Take a few sentences to explain what you’re sharing. Tell people what it’s about. This isn’t Twitter, so don’t worry about it being less than 140 characters. Google+ers like substance. If you’re sharing a link to a blog post, this is where you want to hook the reader and give them a reason to click-through to the full article. Don’t just tease though, because nobody likes a tease. Really share something from the article that would make it worth clicking through. Maybe share a few of the best points from the full article or a summarized bullet list. Give the reader a clear link to the article or blog post you want them to click-through. If you’re not sharing a link, then just ignore this step. If you are sharing a link, it’s best to use a URL shortener like goo.gl, bit.ly or other similar service. Beyond just making it look prettier by not having a ridiculously long link in there, these services also allow you to track how many times that link was clicked on so you can measure your efforts. Share your thoughts or perspective. If you didn’t already do this in the second part, give your readers a taste of your perspective. Let your opinion or perspective shine so people can hear that this is more than you regurgitating someone else’s content. How’s that for a visual– content regurgitation. Yum. Prompt people to respond in the comments. My favorite way to do this is to ask a question related to the article. Make it easy for them to engage with you by directing and sparking the conversation. This is where you want to throw in any relevant hashtags related to your post. Make them specific, and don’t use too many because it can tend to make you look spammy. Personally, I think you can always get away with three hashtags or less. If you need any more than that, you may be trying too hard. Every good content creator knows that a relevant image is important. Google+ posts are the same way. Demian Farnworth would even tell you that this is the first step in the Art of Writing Great Google+ Posts. Additionally, using a high quality image makes it likely for your post to go full stream. 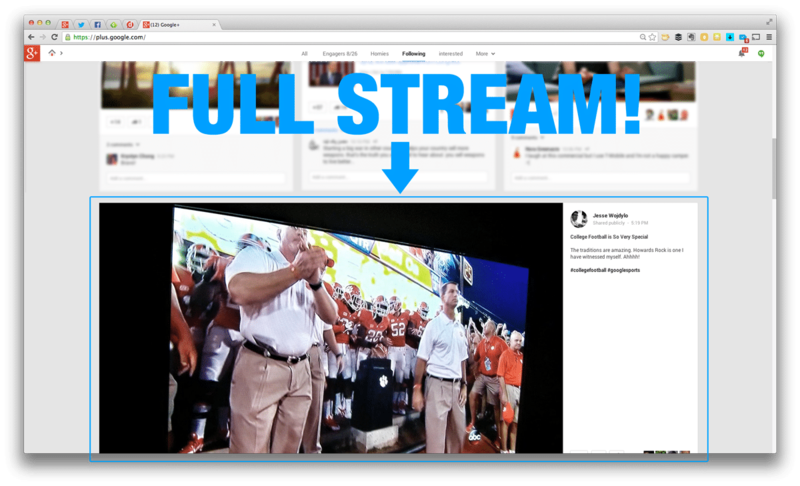 In case you’re not familiar with that term, full stream refers to when a Google+ post is enlarged to cross over all of the columns in the stream. This makes getting noticed much easier. To increase your likelihood to go full stream, be sure to use a photo this is horizontally oriented as opposed to a vertically oriented. If you manage to hit all these points, you will surely grab the attention of many more eyes. Stay consistent at creating this level of craftsmanship in your posts and you’ll inevitably amass a legion of loyal followers who can’t get enough of your content! This formula has been proven time after time to get significant engagement for content. It’s not a magic formula that will give you over night success though. It’s simply a guideline for making your posts stand out amongst a sea of content. Don’t feel like you have to keep the same format over and over again though– do some experimenting. Components 1, 6 and 7 are pretty important to keep where they’re at, but get creative with how you mix around components 2-5. Keep it fresh so that your readers don’t get bored. For further reading, Peg Fitzpatrick has put together a fantastic post titled Five Easy Steps to Bake the Perfect Google+ Post. Have you seen some of the more successful people on Google+ using any or all of these components? You can leave a comment by clicking here. I have never felt as old as I have since trying to push engagement on facebook and goole+! I have a website, but I am not trying to sell anything. It is a collection of articles about philosophy and inspiration. Good Hi-def images. I realize the articles may be long and not everyone’s cup of tea, as it were, but I have been working on google+ for well over a month now, with almost 100 views daily, and there have been no +1’s or shares or comments whatsoever. I have no expectations of going viral, but nothing? It makes no sense to me. Is there some documentation that talks about how to change this? It can’t be just about headlines and bolding and italicizing. I am missing something here but have no idea what it is. Any suggestions or direction would be appreciated. Hi, John! Thanks for stopping by. Well, as with any social network you still need to do the work of connecting with people. Follow others who have the same interests as you and interact with their posts. However, if you haven’t heard already, Google+ is officially shutting down as of August 31, 2019. Great article. I love the steps shown to make the post look appealing! You’re welcome, Andy! Are you very active on Google+? My pleasure Doni! Glad you liked it! I am learning that Google+ is a good tool to drive visitors to my website and it has now become my Social Media tool of choice over Facebook. Keep up the good work with your website. It is very informative and helpful to us new bloggers. Glad to hear it Rob! It’s surprising how many people believe the misconstrued hype about Google+. It’s still one of the most effective channels for high quality engagement. You just have to take the time to be intentional. Turns out I was pretty good on all of that except for the asterisks to bold titles. Heck, I’m thinking I never even put a title in before, allowing my blog link to handle it instead. I just posted something new; let’s see how it all works out. Good stuff! BTW, I’m not getting email letting me know you’ve responded to my comments. Luckily, I’ve just kept the posts open, otherwise I wouldn’t have noticed it on the other article I commented on. Interesting Mitch. I wonder if the notification emails are going to your spam… did you get the confirmation email for subscribing to comments? Thanks for the informative post, still relevant more than a year later – btw found your site after listening to the podcast on ProChurch Tools. As a church volunteer, I am keen to get all the relevant information I can. Nice to see Google+ get some more attention. I definitely don’t post as often, or as well, as I should. Still, I have to remember that I am only one person (no additional help available), and I have other responsibilities, so working smarter, not necessarily harder, has to be the goal. Short, sweet and helpful – THANKS for sharing! My pleasure Ursula! Glad you liked it! Thanks a million for all of the GREAT info and inspiration. You are appreciated !! your info graphic has helped me a great deal in giving my posts a better structure. On top it’s fun to post with a title in bold, then a short tagline in italic and add in a summary, main description, links and hashtags plus an image. I really like the design and shape of the end result in Google+ and it truly motivates one to post even more quality content with the combination of all the steps you mentioned above. Sunny regards from the island Mauritius which is very very far away from you and most of the readers here! Thank you for putting together substantial information in a clear formula that is easy to follow. Communication be it personal or professional, is key -and your help is instrumental! Awesome stuff here! We are just starting to re-vamp our Google+ presence and I just used these 7 steps to craft the first of many killer posts. Thanks, Dustin! I’ve bookmarked this page so I can come back to it many times over. I’m so glad you liked it Lucy! This is all great information but one thing I noticed you not mentioning is adding DOfollow links within G+ post. I believe you can NOT add full size high quality images the way you described above. I believe you either need to add the link where it says “link” OR add the blog link on the “share whats new” box, thi snot allowing DOfollow links. Can we have both big images and DOfollow links when posting in G+? Google+ now will show full width images with link post formats as long as the linked page has the proper markup and image size in the article. Do-follow has gone back and forth on Google+ posts so I really don’t worry whether or not a link is do-follow or not. What I care about is the signals being sent. Thankyou Dustin, i feel among the priviledged to have read this valuable content and I shall implement it into my posts. A great traffic tip also, especially when we are doing our best to drive people to our website , cheers ! Very good and informative post. G+ is such an unknown (but IMPORTANT) social network… especially as Google continues to evolve and skew more towards Author Rank than Page Rank. Hi, I just want to get some clarification please. You’ll actually uploading the image and not using the preview image from the post, correct? Thanks! Yes, what I’m talking about here is actually uploading the image. This is some great stuff, Dustin! The only problem I seem to have is the seemingly arbitrary cutoff length for the text introduction. Somehow it seems to factor in line breaks the length of continuous text. 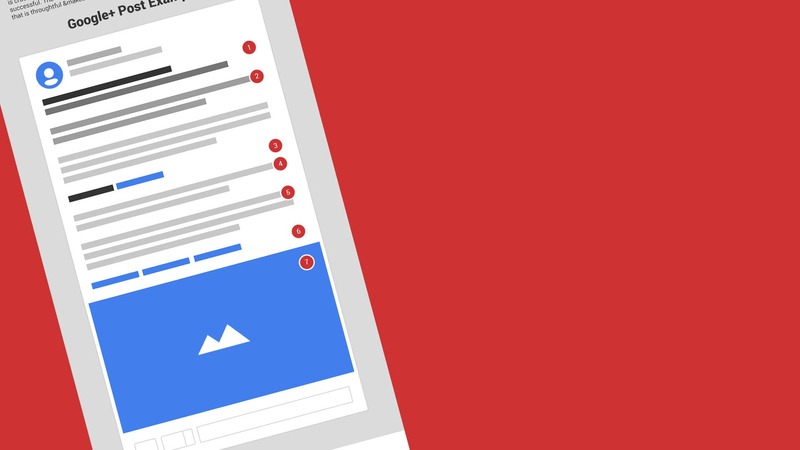 Have you found some formula to ensure the ultimate “above the fold” exposure of your text? One thing I have never been known to care about is “the fold”. I take the “hook em with the headline” approach and if the headline doesn’t make them want to read the entire post then oh well. Since it’s so unpredictable (both the Google+ fold, and the mythical web design fold) it’s a waste of time trying to accommodate for it. I was just viewing your social media hangout. It was very informative and congrats on the multi tasking lol! I have to say #4 and #5 really hit home for me. I use this term all the time but we have to keep social media, “social”! We can’t let the abundance of spammy behave sway us into thinking that this is the new way to use these platforms. This is my first time here and really enjoyed this post. Your website is designed nicely as well. I will be back for sure. Take care and thanks again for the great tips on the hangout! Thanks so much Steven! It’s so funny how many wanna-be marketers miss the “social” aspect and just keep dumping media all over the place. Just out of curiosity – I noticed on #6 that you place all of the #hashtags at the end and not through the post. Is it on purpose? You don’t want CTA’s through the posts (besides for the link itself)? Thank you. As a newbie to google+ this is invaluable information. Now to print it out so it’s always nearby. Really nice article and very helpful, I also use this type of format for Google Plus posting, but I do it in two languages which I hope Google integrates geolocalization soon. I just have a question about the photo size though. Is there an optimum size which works the best? Doesn’t the auto-translate tool work in your location? Whenever I see a post in a different language Google places a small translate link into the post box. And about the image sizing, I’m still doing some testing and will probably do a writeup on my findings. Looking forward on reading more! Thanks Dustin for this post. Already printed and ready to be glued in my office at work and my desk/monitor at home. Gotta keep reminding myself about this! Such a great post, Dustin! I’m making my first steps in using Google+ so your post is exactly for me. I also want to buy a good book about Google+ (how to use it to promote your blog and products), so maybe you could recommend me something worth reading? All the books I know of are outdated already. Google+ is growing and evolving faster than any other network out there. I’d be happy to answer any questions you have. Drop me a line via my contact page. Thanks a lot! I’ll read all your posts about Google+ and then, if I’ve got any questions, I’ll write to you. I can’t tell you how much I did not like Google+ when I first experienced it. Post, like yours, are making it so much better. Thank you. I’m so glad things are changing for you Mark! Don’t hesitate to +mention me on Google+ if you ever need any help making things even better! Brent from Stand & Inspire posted your link to an awesome new Google community called “Blog Post Spotlight!” I appreciate the repetition of the need for what you’re defining here as engagement. I’m really bad about that, have a hard time trying to figure out how to add those to anything I write. But I’ll try harder and see what happens! Nobody’s perfect Ceejae! Keep at it and you’ll be teaching others in no time! I’ll have to check out that community. I’m glad you found it Sandy! Came from Wade Harmon’s blog, read this, liked it and have decided to give it a shot. I wrote a post kind of following all that you wrote here and I figure at the least maybe a few people will read it. Good stuff, good ideas, and it’ll be interesting to see what happens. Awesome Mitch! The real key is consistency though. It’s not a magic trick that immediately attracts followers, it’s a structure for consistent greatness. Not just a theory – it actually works! I read this a while back, and implemented it, step by step, a few days ago; and you know what? It actually worked! Created more interaction than my short-tweet-like posts on GooglePlus. So, I guess this is a testimonial kind of comment! Awesome! Thanks for that Behrouz! Thank you for this! I’m not too active on Google+ yet, but I’m slowly learning the ropes, and thanks to your post (and that terrific infographic) I think I understand now what it takes to make a Google+ post really stand out — all the elements that need to be included. Really helpful! Awesome Nancy! Don’t hesitate to reach out on Google+ if you have questions or need help with anything. Give me a +mention so I know to circle you! This is so helpful. I didn’t think I’d have the moxie to learn another social media platform, but I love that you mentioned G+ is much more engagement driven…thanks for this! You’re welcome Mike! And don’t kid yourself– you’ve got all the moxie you need! This is the second time I’ve read this post. Good times. This is a terrific post. Thanks for spelling it all out. I’ve been wondering how to create more engagement with my G+ posts. I will start following your lead with posting a photo then adding in the link along with a longer summary and my thoughts. Once again you’ve hit it out of the park. You are the home run KING! Thanks for all this great info and for writing in such an easy and clear way. You make it easy for the world to use G+!! Thanks Debi! I really try to communicate in such a way that all can understand and apply! Thanks for all the great tips Dustin. Very useful, and I’ll start using them straight away. You’re welcome Bradley! Let me know how they work out for you! A well researched and useful post. A kick in the pants to take a little more time in my posts. Thanks Dustin. Have you come up with an optimal size for a full stream Google+ image upload? Thanks Cole! It would seem that 1200px wide is optimal and the height should be 2/3 or less than the width to make sure it’s recognized as being horizontally oriented. This is really good, Dustin. Super clear and actionable and it aligns with my personal experiences with my own posts and those of others. Thanks Gideon! I’ve seen your posts include these components as well– you definitely get it! During my training as a webmaster, I have been fortunate to have a teacher who placed great emphasis on the “best practices” and with your discipline and your creativity, you are now for me one of the best representatives of a large Web quality. Wow! This is great stuff! I never thought about the full stream effect! Yea, that is the ideal for getting your post the proper attention.